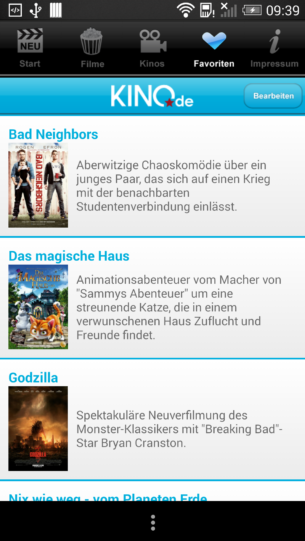 The new smartphone app KINO.DE offers you exclusive features for your favourites or new movies: newstart of the week, top movie charts, reviews of the movies, trailers, foto shows and a detailed cinema search. 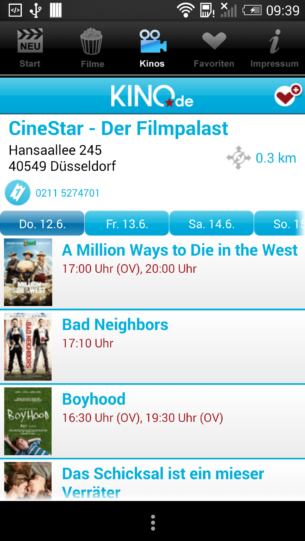 The best movies: The movie program for your favorite cinema near you. 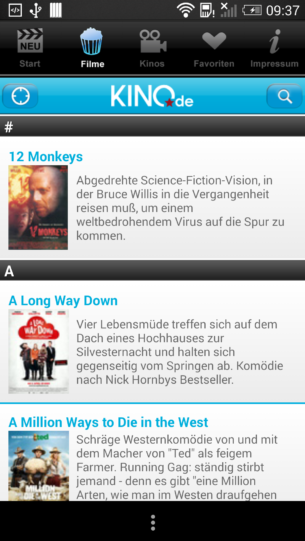 New movies of the week: Do not miss any highlight anymore! 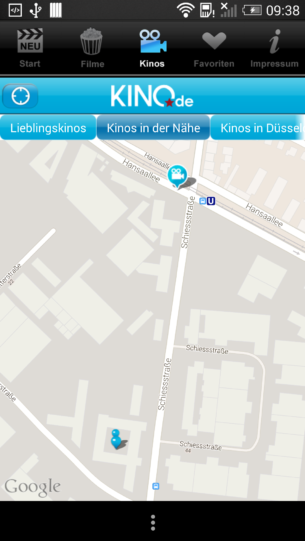 Cinemas and movies search: Find your way to a movie you want on a cinema you decide. Reviews and fotoshows: Search the movies you find interesting. Movie trailers: Enjoy the visual highlights, preview you experience with a trailer. Share your movie plan: Inform your friends via Mail or Facebook about your plans, and get your friends invited.